Your Workers Comp Claim is Denied,What Are Your Options? Your Workers Comp. Claim is Denied—What Are Your Options? Your Workers Compensation Claim Is Denied—What Now? You’ve been injured in an accident at work or you’ve become sick because of exposure to something on the job. It seems like a pretty straightforward claim, but don’t be surprised if your claim is initially rejected. It’s a common occurrence, even when you appear to have an “open and shut” case. What are your options now? The good news is that there are multiple levels of appeal for the denial of workers’ compensation benefits. The high percentage of initial claims that are routinely denied only reinforces the need for an experienced, knowledgeable and aggressive workers’ compensation lawyer. Your first avenue of appeal, after the denial of a legitimate claim, is to write an appeal to the commissioners of the Workers’ Compensation Board. In that appeal, you want to identify all reasons you believe the workers’ compensation judge made a mistake in your case. You will want to include all errors you believe were made, including medical, factual or legal mistakes—any reason you believe your claim was wrongfully denied. 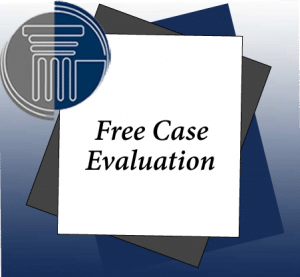 At the same time, you can file an appeal with the Appellate Division of the State of New York for the 3rd Department—this is a court system that adjudicates workers’ compensation claims in New York. Your Workers’ Compensation Claim is Denied—What Now? At Pyrros & Serres LLP, we handle all matters related to workers’ compensation and Social Security disability claims for people in the Bronx, Brooklyn, Queens and across the greater New York City metropolitan area. Because of our reputation for effective advocacy, many of our new clients come to us as referrals from clients and other lawyers. To learn more about the full scope of our practice, see our practice area overview page.